Chicago, IL – June 5, 2018 – American Street Capital (“ASC”) announced today that it has secured $2.27 million permanent loan for a light industrial building located in Chicago, IL. 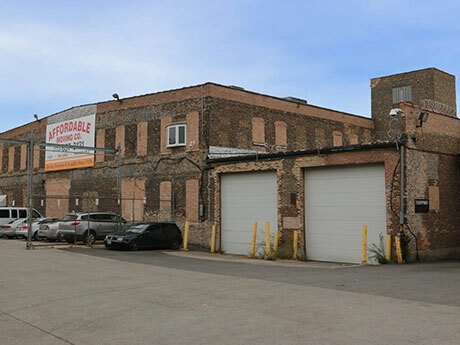 Built in 1910 and located in Chicago’s Hermosa neighborhood, the two story, 133,000 RSF light industrial building was acquired in poor condition. The sponsor repositioned the property into 59 rentable units. Additional amenities of the building include ample parking, six loading docks, sprinkler system, and freight elevator. At the time of the request and at 62% physical occupancy, the sponsor required the release of four additional properties as secondary collateral so that he could pledge them for another acquisition. ASC was able to source a cash out/refinance stabilized loan that would release all four buildings pledged as additional collateral while the property was still below 65% occupancy. The loan was a 5-year fixed loan on a 25-year amortization schedule. The loan was placed with a correspondent commercial bank lender.